This TrueValue color quiz is supposed to pinpoint which color best describes one's personality. 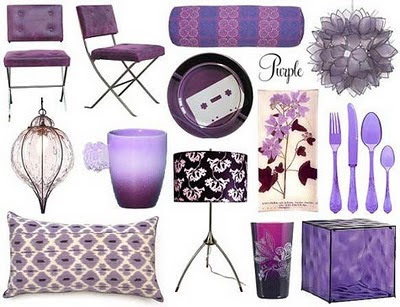 Purple is an... unexpected choice, but I think the description is quite accurate, no? "Spontaneity is the key to your existence. Quick-witted with a flair for originality, you enjoy situations that allow you to explore your creativity. Comparatively conservative, you appreciate beautiful surroundings, especially if they’re found in nature. Your relaxed and self-assured personality allows you to work well with others. Surprisingly enough, your unique and unusual tastes don’t prevent you from being comfortable among your more conservative peers."